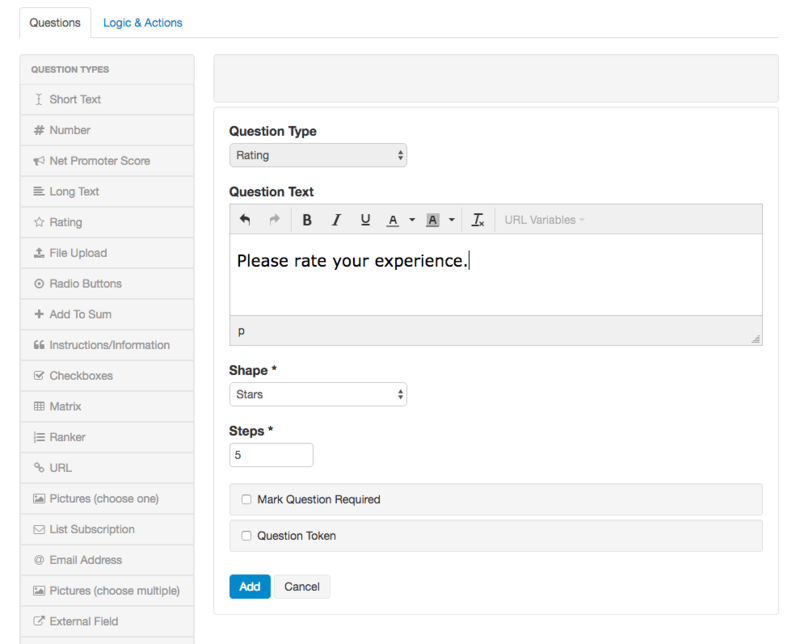 "Rating" question gives your respondents a way to rate something using interesting symbols and a cool mouseover technique for choosing an answer. 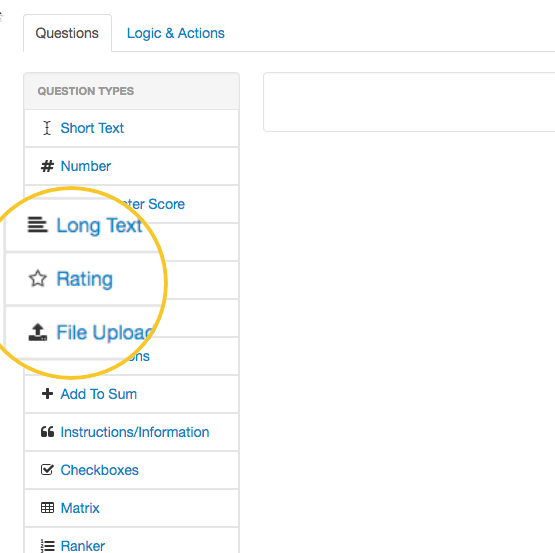 The results of the answers to "Rating" question are shown in a bar graph. 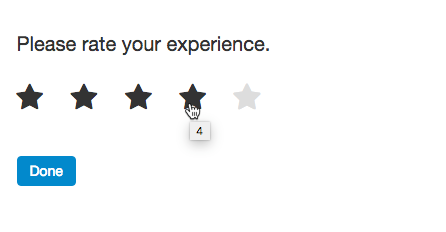 To put a "Rating" question in your survey, find it in the left side menu bar and drag it into the main survey area. Fill in the details. You can choose what Shape you want as well as the Steps. 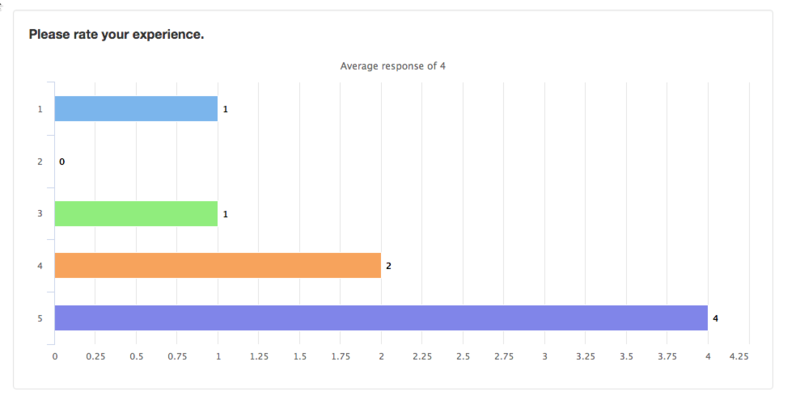 When the reporting is shown for the responses, we show you the ratings in a bar graph.